Allison’s work helped to reinvigorate and mainstream the field of immunotherapy. When you hear these four words, you know that your life will be changed forever. A new chapter of your life begins filled with appointments, medicines, anxiety, and worry. Despite this, you are constantly reminded that there is hope. Modern medicine is doing wonders for some people with melanoma. You can fight this and you can win. The credit for the advancements in modern medicine belongs to pioneering researchers who have refused to accept the status quo; exploring theories, forming hypotheses, and sometimes pushing the entire field of science forward. That’s exactly what Jim Allison, PhD, of the M.D. Anderson Cancer Center at the University of Texas and member of the MRA Scientific Advisory Panel, did with his pioneering research to harness the power of the immune system to attack cancer. His work in immunotherapy, which began in the 1990s, was audacious at the time. It helped to mainstream an entirely new class of tools in the arsenal against cancer; joining the likes of chemotherapy, radiation, and surgery. 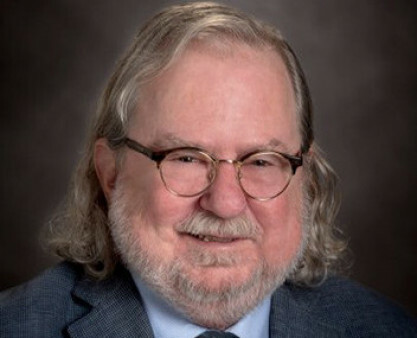 On October 1 of this year Jim Allison, along with Tasuku Honjo, MD, PhD, of the University of Kyoto, was awarded the 2018 Nobel Prize in Medicine or Physiology in recognition for his work. The generational leap afforded by Allison’s work is particularly important for patients facing melanoma because unlike other types of cancer, melanoma generally does not respond well to chemotherapy. Dacarbazine — a single agent chemotherapy — had been the standard of care for the treatment of metastatic melanoma for more than 30 years. In 1998 high dose IL-2 was also approved, however neither it or dacarbazine ever dramatically improved overall survival. In 2008, the five year-survival for stage 4 melanoma was only about 5%. Today, for patients on the newest drugs, this figure is up to ten times higher. This is because of an explosion in new drug approvals that began in 2011 in two broad classes, immune checkpoint blockade (frequently called immunotherapy) and targeted therapies. While this dramatic improvement is made possible by hundreds of researchers across the globe, Allison’s work helped to jumpstart and energize the field with bold ideas and fresh momentum. William Coley, MD, is credited with ‘inventing’ immunotherapy. Coley, a surgeon by training, began thinking of better ways to treat cancer in the 1890s when a 17-year-old patient named Bessie Dashiell came to him with a hand injury caused by an aggressive bone cancer. At the time, little could be done beyond amputating the limb. Despite this surgery, Dashiell died just weeks later due to metastasis. The tragic death of Bessie Dashiell frustrated Coley. He began to research alternative approaches that may have saved her life. While examining hospital records, he discovered a 31-year-old patient with the same cancer as Dashiell who experienced complete tumor regression after a post-surgery infection with strep bacteria. Almost ten years later, the man was not only still alive, he was cancer free. Could the patient’s bacterial infection and the associated immune response be responsible for eliminating the cancer? Coley wanted to find out. His patient was a 35-year-old man with an aggressive and life-threatening throat cancer; Coley decided to treat him with the same strep bacteria. Amazingly, it worked and the patient’s cancer melted away. Coley dedicated his career to refining his technique. Over the next 40 years he reportedly treated more than 1,000 bone cancer patients with bacteria — called Coley’s Toxins — intended to spur their immune systems. Despite promising results by Coley, his procedure failed to gain recognition and was eclipsed by the rise of radiation and chemotherapy as the ‘go to’ treatment for cancer. It remained a niche area of science for the next 100 years. Allison was fascinated by the body’s immune system. He and an entire cadre of researchers were hard at work trying to understand just how the system worked. How could millions, or even billions, of cells work together to seek out and destroy foreign invaders that would make us sick? More pointedly, could this incredible system be channeled in a way that would allow it to fight cancer in much the same way it attacked the flu? These were big questions — and researchers were stuck. Tumors just didn’t ‘excite’ the immune system in quite the same way as a virus or bacteria. T-cells, critical foot soldiers in the immune response, never fully activated when introduced to tumor tissue. This was partly by design. The immune system is powerful, but it is also exact. The system is carefully calibrated to recognize “self” from other microorganisms. Without this ability, the immune system could attack healthy cells and tissue leading to autoimmune diseases. In the 1990s Allison and his lab were trying to understand the role of T-cells in the immune system. At the time, these critical foot soldiers of the immune system were still largely a mystery. We knew that they were important, but didn’t know why or what they actually did. As part of Allison’s research, he discovered a small protein that acts on T-cells called CTLA-4. He noted that CTLA-4 appeared to function as a brake on the immune system. This discovery excited researchers, many of whom focused on CTLA-4 as a potential treatment target for autoimmune diseases. Allison took a different approach. He created a molecule that blocked CTLA-4 from doing its job — and then set out to determine if this new molecule could ‘take the breaks off’ the immune system, effectively unleashing it against cancer. Researchers have long suspected that melanoma would make an ideal proving ground for immune-based therapies. Melanoma is known for being highly mutated; with many of the mutations caused by penetrating ultraviolet rays from the sun. These mutations help the immune system to see the cancer, and in some cases, it even attacks the cancer without any medical intervention. Researchers hoped that immunotherapy would give the immune system just the boost it needed to finish the job. In models, results were astonishing: mice with melanoma treated with Allison’s CTLA-4 blocking antibodies were cured by the treatment. His findings were published in the landmark 1996 article “Enhancement of Antitumor Immunity by CTLA-4 Blockade,” and similar findings were soon replicated by other scientists across the globe. These studies culminated in 2010 when results from BMS’s clinical trial of the experimental drug, called ipilimumab, based on Allison’s CLTA-4 blocking antibody, demonstrated dramatically improved prognosis for metastatic melanoma patients. In several instances, the drug proved curative. These findings were remarkable and represented the first randomized trial ever to demonstrate a survival benefit among patients with metastatic melanoma. Based on these findings, the FDA approved ipilimumab (Yervoy®) later in 2011. Since then, in addition to melanoma, immunotherapies have been approved to treat bladder, Hodgkin’s lymphoma, non-small cell lung cancer, head and neck cancer, among others; and is being tested in an additional 30 cancer types. The class of medications have become a staple in the treatment of cancer, joining surgery, radiation therapy, and chemotherapy. Perhaps more important than the discovery, development, and approval of ipilimumab — Allison’s work helped to reinvigorate and mainstream the field of immunotherapy. Today, immune checkpoint blockade has transformed the way melanoma is treated. Patients with a diagnosis of late-stage melanoma now have 12 more FDA approved treatments including both immunotherapy and targeted therapy options. And while some patients are still not responding to even the latest treatments, the energy, excitement, and ideas that have transformed melanoma continue to off new avenues of hope. On behalf of patients facing melanoma across the globe, we congratulate and thank Allison for his pioneering contributions to science.